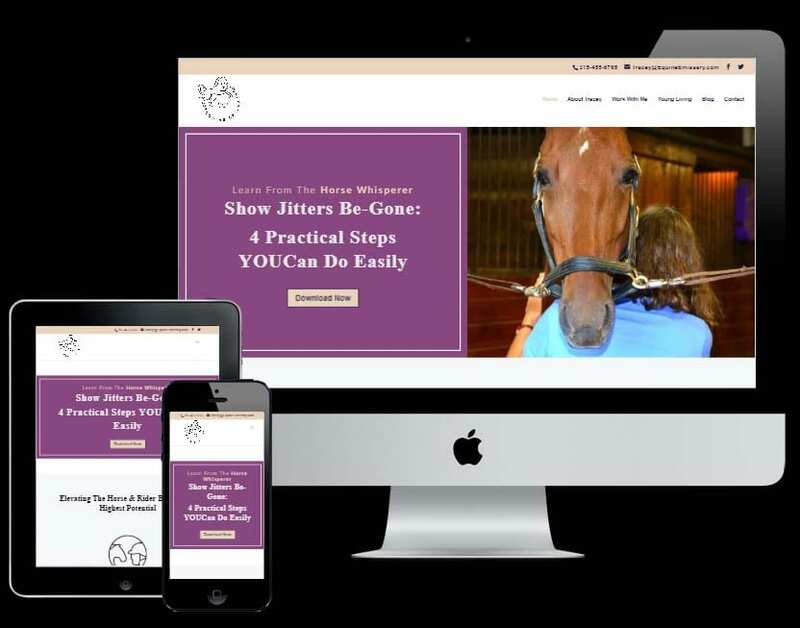 Tracey from Equine Emissary came to us needing an on-line presence. She was in need of a web platform that she could use to grow here business. As as wise business owner she knows the value of a strong visual brand and being able to be seen through on-line Google searches. Part of Tracey’s job has her reaching out to the horse riders and horses at horse show. Because of this is was looking for us to create graphics for her banners and marketing material. We created a website that integrated into her email marketing software so she can grow her email list and provide quality content to her audience. We crafted her the marketing graphics she was looking for. She proudly sports a huge banner with her logo and branding on it during horse shows. 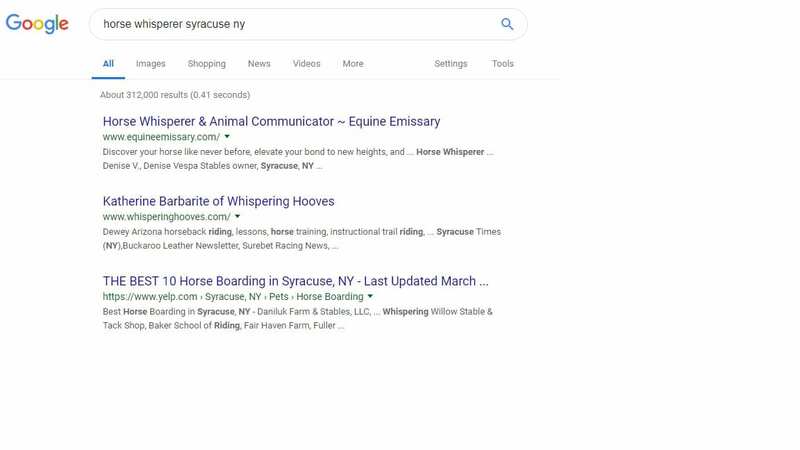 We made sure Google would love her website as well. I am Tracey Wright. Equine Emissary. I Work with horses and riders to solidify and elevate their bond and communication. At first, I was hesitant with the Cost – initially. I thought it was out of my budget. But then I asked for other quotes from other web design companies. As I got serious about doing this and realized that the price I was quoted, including all that comes with it, is very inexpensive- Intuitive Edge Design should be charging more! Had a gone with another company, I would have gotten a ‘canned’ website with only my content added it. I would have also not grown professionally and personally as I did working with Intuitive Edge Design – and my business and website grew as well. My website is far from canned – it is designed for me and my unique take on the message I want to deliver. The entire Intuitive Edge Design team was part of this: SEO, Logo (incl bus card, banners, rack cards, icons, colors, fonts) and web design all worked together with me in helping me realize my website dream. In fact – it has turned out to be WAY better than what I had envisioned. 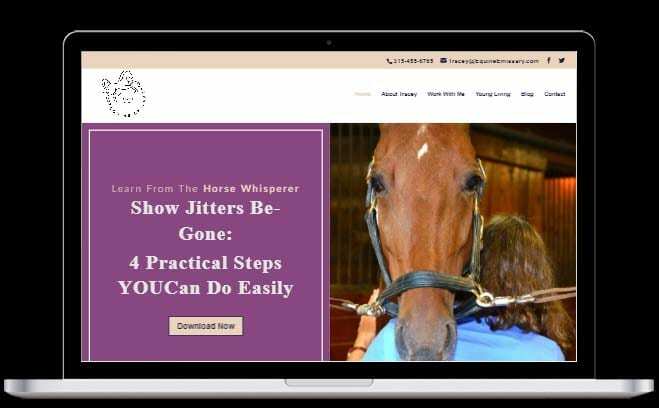 Also, I thought ‘oh I don’t know what I want in a website or what my content should be, do I have enough even for a website?’ See – I’m creating my own market and niche and I will help riders realize they need my skills – so do I have enough to even warrant a website. Again, working with Intuitive Edge Design, they helped me formulate my goals through the website development process. The person I was when I started this process is not at all the person I am now as this process is finishing. If I had gone with a ‘canned’ website designer firm, my personal growth would not have been considered or part of this process. Yet that was an integral part of bringing my website to its beautiful fruition. My favorite part about working with the team, was the personal growth and seeing the website and my dream business actually take shape. And the entire team behind Intuitive Edge Design that brought my vision to life. Again, if I had worked with another website designer, it would have been ‘canned’ and the designer is separate and the SEO is totally separate and at a large additional cost, and there would lack the fluidity I have ended up with Intuitive Edge Design. I didn’t expect for my online pretense to work out so well. Not even close!! Ha Ha!! So much better than I had envisioned – seriously. When I saw the website, right before it’s launch, I was so touched and dumbfounded and overwhelmed, it took me a good 30 min to digest it all to stop saying “WOW”! For real! LOTS of support – whatever your needs are that come up during the process, IED will either connect you to the right person with that area of expertise, have a link with info to help you, or will point you in the right direction to get that help. I’ve talked to other website designers and there is nothing like the personalization you get with working with Intuitive Edge Design. I never understood that until I actually started working with them – just how personalized this project is. Had I gone with anyone else, all of that would have been lost not to mention the personal growth that happened because I chose to work with this team. Intuitive Edge Design or bust – that’s all there is to it. You have no idea what greatness you have in yourself and your business until you embark upon this journey with them. Their team already sees it and they are very adept at drawing it out of you. [If I were on stage …. I’d drop the mic now].